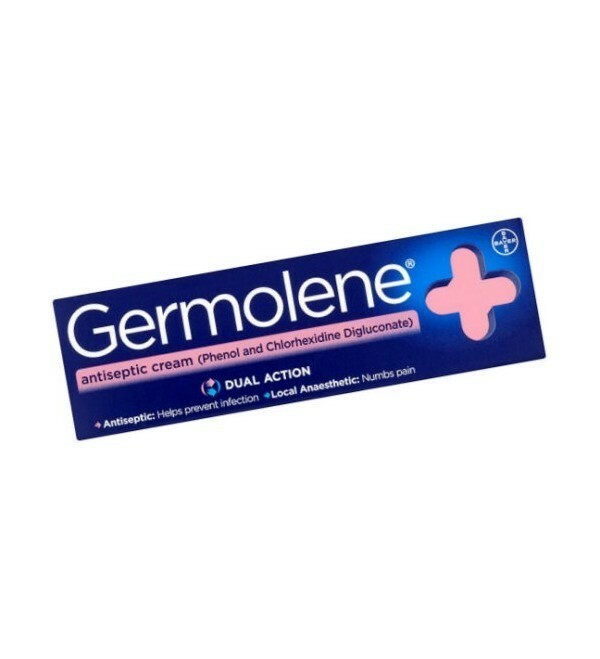 Bayer's Germolene Antiseptic Cream's dual action is an effective treatment for minor cuts and grazes, minor burns, scalds and blisters, stings and insect bites, spots and chapped or rough skin. 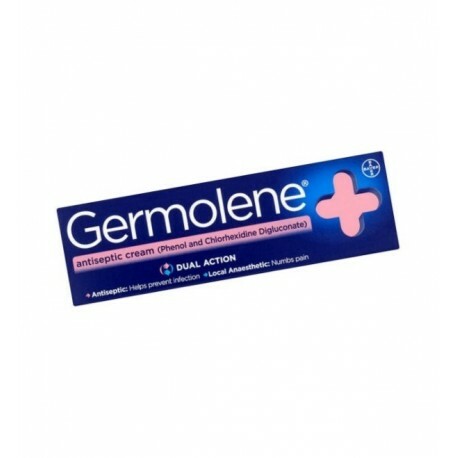 Bayer's Germolene Antiseptic Cream's dual action is an effective treatment for minor cuts and grazes, minor burns, scalds and blisters, stings and insect bites, spots and chapped or rough skin. The non-greasy cream rubs in easily and the soothing local anesthetic numbs the pain and helps relieve the itching and irritation.